Did I ever mention that I had this past week off? Time off means lots of time to browse (and craft! :D). Came across lots of nice things this week, it was kind of hard to choose so this post won’t go on for ever and ever… but here are my favourites! This is so simple, yet so brilliant! I, too, find myself turning into a broken record when I work with the classroom of young children. “Did you put the toys away?” “Please put the wrappers in the garbage before going to play.” “Did you wash your hands?” “Did you change into your indoor shoes?” On and on and on and on… I would be totally annoyed too if I were one of the kids. When I went to the dollar store the other day and saw the bags of plastic farm animals and dinosaurs I thought of this great idea, but then I also remembered that the kids I work with don’t know how to read yet. Darn. But still! Seeing the animals delivering these messages made me chuckle. I’m sure it’s effective with both kids and adults, and turn nagging into fun! See how to say it with animals at Family Chic. Also from Family Chic, a super clever way to make a tiny vase for those tiniest flowers you or your loved ones bring home — with a balloon and a votive candle holder! Very chic, indeed! This tiered dessert stand from Martha Stewart is pretty genius — it’s made with paper plates and cups, so it’s disposable, and one wouldn’t have to keep it when the party’s over. I’m definitely keeping this idea in mind for future gatherings, because I like a tiered dessert stand but we don’t have the space to store one in our small apartment. 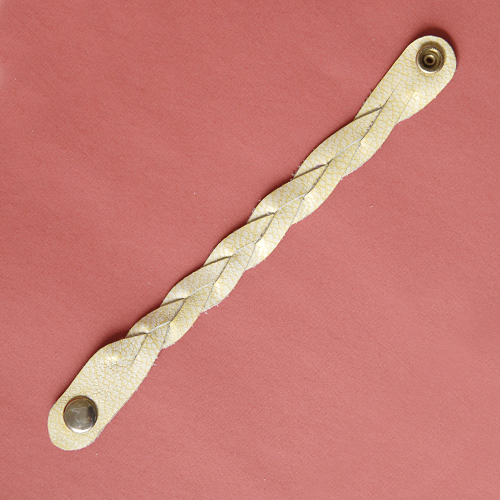 I’ve always wondered how these bracelets are made! I need to study the tutorial more closely but looks like it’s something that would make sense once I start making it. I don’t have leather on hand, but I think it would look nice with some grey felt! Tutorial on I Still Love You. Kids would love this but what about a few floating in the punch bowl? 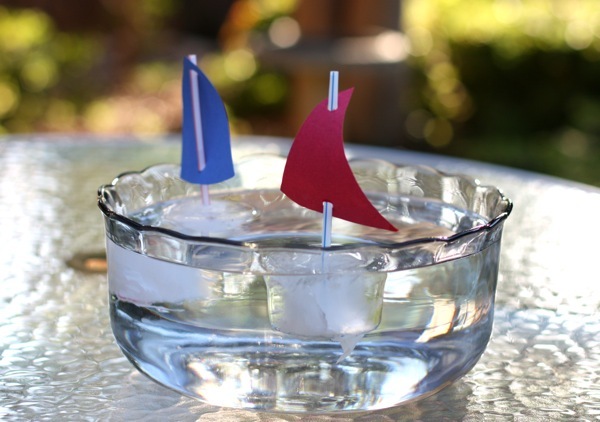 Ice boat how‐to on Alphamom. 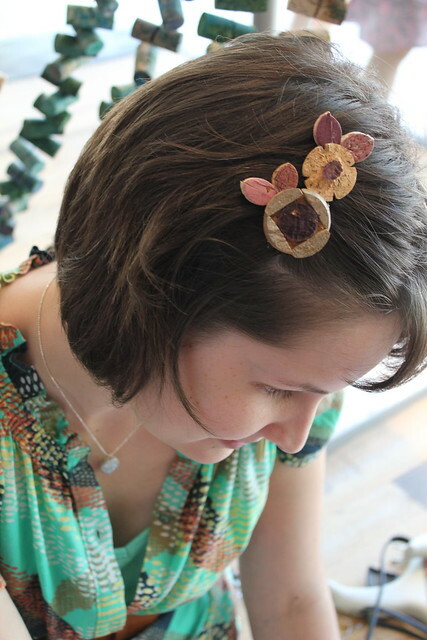 These cork hair clips (and earrings and brooches too!) 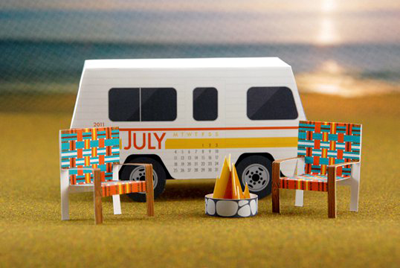 by Kara Paslay Design are just a great source of inspiration. I don’t drink wine but I was once given a number of wine corks by a friend. 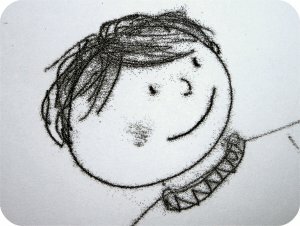 I’ve made some stamps with them (kind of failed, but fun anyway) but I’m running out. Time to get me some more corks! 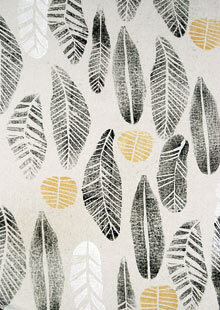 And because this month’s theme is printmaking, 52 Crafts in 52 Weeks has got a lovely round‐up of printmaking tutorials, like this very stylish potato print how‐to on the Guardian. This has got to be the most sophisticated‐looking potato prints I’ve seen, and I love that it showcases the natural shapes of the potatoes (and yams too!). Also via 52 Crafts, a great monoprint tutorial that works with any flat, non‐porous washable surface one could find at home (like a mirror). From Janet Clare. 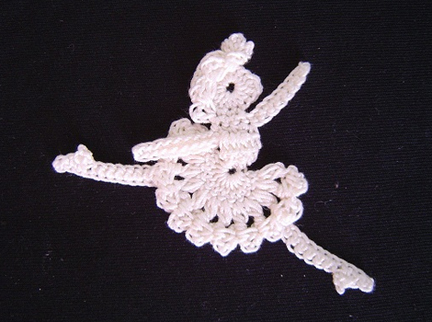 The crochet motifs from Crochet a Little are really nicely done. Look at the detail in the ballerina’s dress and shoes! And I love how the beginning crochet ring of the head becomes the eye. The Swan Lake (pictured) is my favourite, but also check out the mermaid and Alice in Wonderland! The site is in Japanese, Chrome translates it for me, but the patterns are charted and looks like they’re pretty easy to follow. 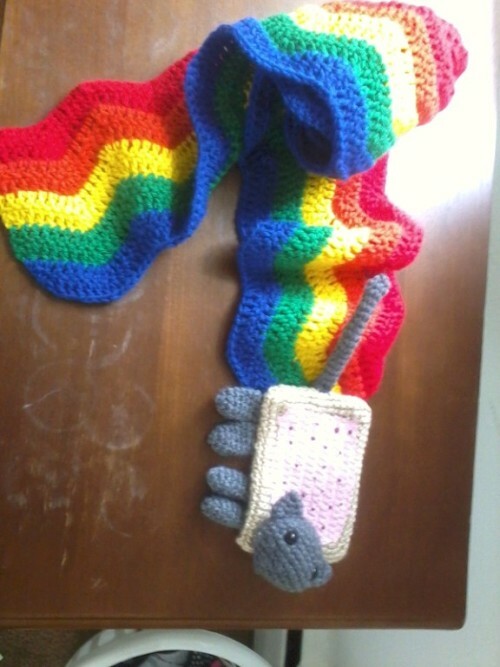 More crochet goodness — a Nyan Cat scarf! XD If you haven’t seen the Nyan Cat video, you can see it here. Some people find the song annoying (I can only take about 30 seconds of it myself), but the Pop Tart cat is SO ridiculously cute it makes me burst out laughing every time I see it. And I think this scarf is a perfect crochet representation of the Nyan Cat, because the rainbow trails behind him endlessly :D Brilliant idea (and free pattern!) from Ramen Needles. I love these funky perler bead jewlery by OMEGAZOID on Etsy. 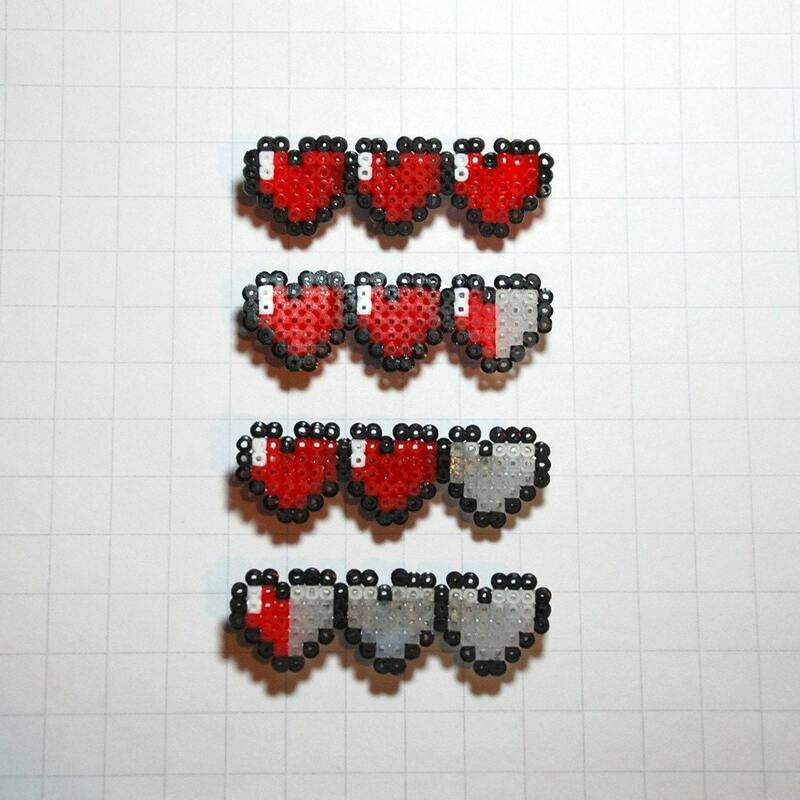 I especially love the heart necklace, the Boo Ghost, and especially these heart meter pins! I don’t like the feeling when I’m colouring happily with some markers and suddenly it starts to drag on the paper, making some faint screeching sound and choking out weak, dying marks. Some markers just die too soon, especially the cheap no name ones that I sometimes get. But before tossing them into the garbage disappointed, I can make watercolour and it’s all good again! Just soak them in water and store in bottles. Fabulous! 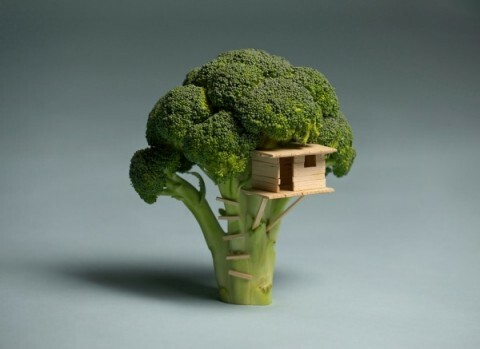 From Artopotamus. Baby food jars — they’re so cute! The herb plants look lovely in them, and they only take up a bit of room on the counter. From The Charlotte. I must admit, I belong to the camp that doesn’t like to camp. I’ve only gone camping once and I hated most of it. I’m embarrassed to tell you (but I’ll tell you because you’re nice) that when we went camping last time, by nightfall and I was utterly surprised (and increasingly terrified) that there were no streetlights! How am I supposed to walk 5 minutes to the washroom when it’s pitch black out? Pitch Black! What if I run into a raccoon? A skunk? A bear? So, no camping for me. Not until we get those gigantic super bright gas lanterns anyway. I love sand dollars. 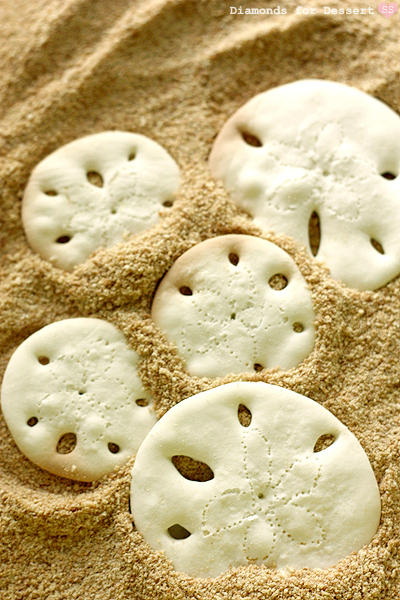 These cookies are made of tapioca starch and coconut milk, and the holes are made with straws — very clever! Recipe on Diamonds for Dessert. If I have that knife I would yell “Hi‐YA!” with every chop and it would be AWESOME. 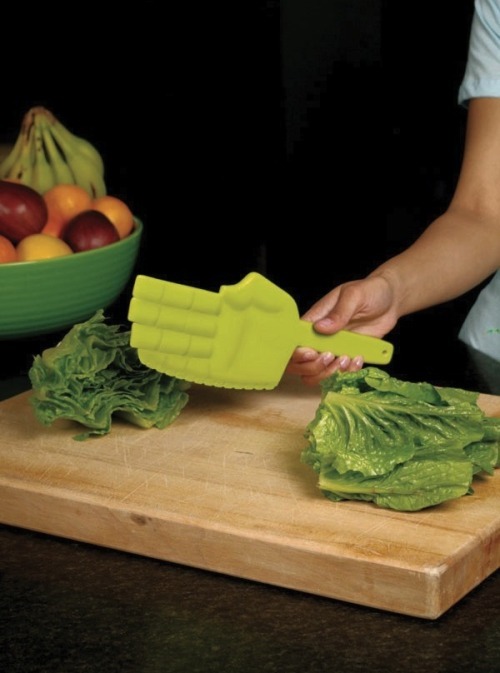 Karate chop lettuce knife via Inspire Me Now. And finally, it is Canada Day today and Independence Day on Monday! Here’s an awesome project to celebrate. The project itself was inspired by Philadelphia, which reminds me that I once celebrated Independence Day in Philly too! The group of us watched fireworks sitting on a hill. Illuminated fireworks photos, how‐to on Design Sponge.